This guide will walk you through the five (5) simple methods to use for sharing videos to your twitter timeline and/or pages. Twitting a photo on twitter is very simple and easy: It is just a matter of clicking the camera icon on the tweet box and you can start sharing your picture. However, this is not the same for sharing videos on twitter. When you click on the camera icon, only the pictures appear while the videos are nowhere to be found even if the videos are on the desktop. Don’t just waste your time searching for the pictures. You will not find them. Maybe it is because of this that you don’t have so many videos on twitter when compared to pictures. Adeniyi, a Jovago.com editor is sharing with us, the top 5 ways to post videos to twitter. YouTube is one of the most widely used video sharing website owned by Google. 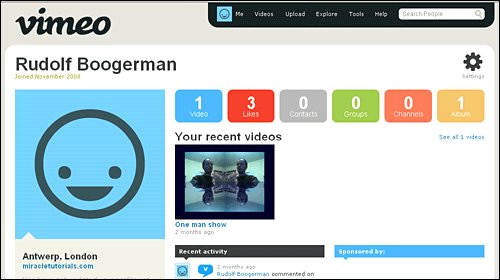 It allows users to upload videos online. To post a video on twitter, you have to first upload it to YouTube. When the upload is completed, copy the link and post it on twitter. Twitter recognizes it and the video can be watched on twitter. However, you must have a Gmail account to use YouTube without any limitations. Perhaps the easiest and simplest ways to share videos, photos and audio on Twitter. No need to copy any link. 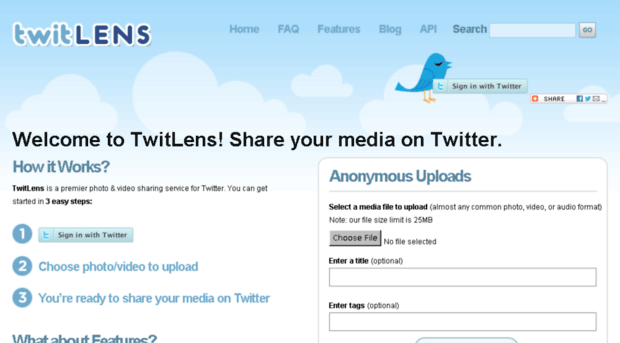 With Twitlens, you can either sign in your Twitter account on the webpage to upload a video or you can upload your videos anonymously. Just make sure that the video is not more than 25 mega bite. It will post the video directly to twitter. Founded in 2004, Vimeo is web platform where users can upload and watch videos. It has a total to 100 million unique visitors’ month and 22 million registered users according to Wikipedia. Not everyone may be willing to go through the process of signing up to a Gmail account. Thus, Vimeo is another option. You just have to join by entering your full name, and choosing a password (Don’t forget to verify your mail). Afterwards, you can start posting your videos. All you need do after creating the video is – Copy the link and post it on twitter. The luxury that other video sharing website doesn’t have can be found on DailyMotion. According to Wikipedia, It is available all around the world in 18 different languages and as much as 35 localized versions that features indigenous videos. So if you want to upload a video that will be seen by people within your locality, use DailyMotion. Sign up and you are good to upload. Then send the link to your twitter page or timeline. 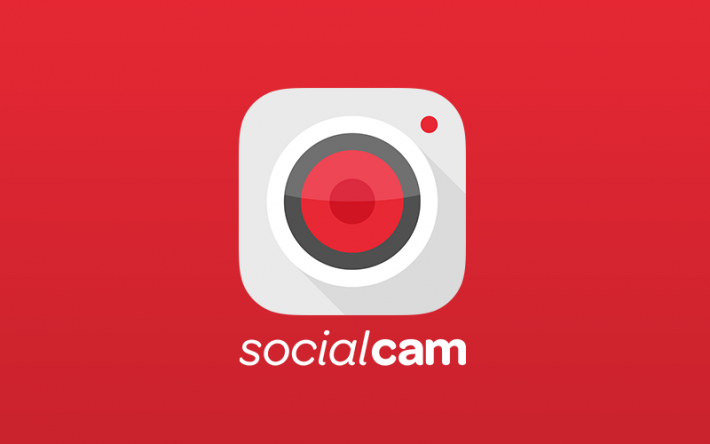 If you have or uses a smart phone like iPhone, windows phone or an android device, you can download the socialcam app. This application assists users in sharing videos on twitter and other video sharing sites. It was founded in 2011. More than 16 million people have downloaded the app already.